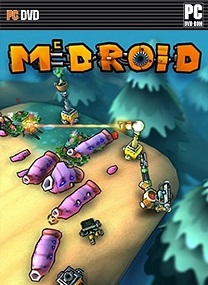 A fast-paced, tough as nails Third Person Arcade Tower Defense, McDROID will challenge both your trigger finger and your wits as you multitask like a robotic spider-doggy: running, shooting, building your base, controlling, healing, harvesting, repairing, planting, upgrading and researching – all at the same time. Doggy-robot McDROID and her friend SHUTTLE crash land on their way home to Planet M. The entire fauna has been mutated by something and the Planet no longer speaks – she is very ill. Plant trees, build, defend and outwit critters on your way to heal your Planet’s hearts with the help of your research lab, your upgrades and your pet bots. And don’t let these giant strawberries rot. • Story campaign where each level uncovers a new game mechanic and research blueprint, and where you heal a planet. 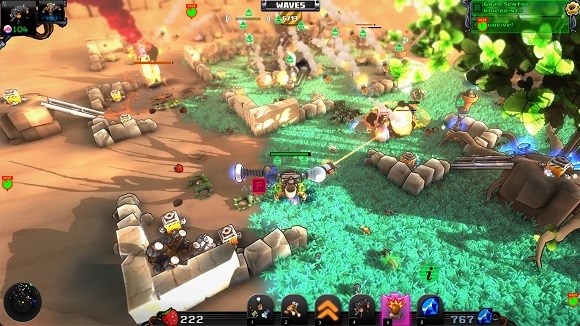 • Hard as nail Survival Levels with persistence: your towers and economy stay with you from death to death, but also bomb trees, unfortunately. • Persistent Research. Do you focus on improving your lasers first or branch out into bliss engine as you climb through the research trees? 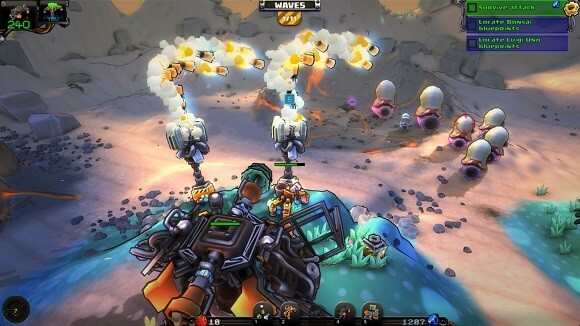 • Drop in/Drop out Co-Op: if you’re overwhelmed in single campaign, have some robot-buddies join you. 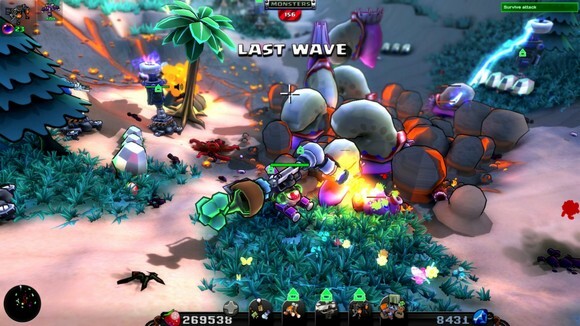 • Persistent base building: Complete a level on Normal and you can play on in Challenge and Nightmare modes. 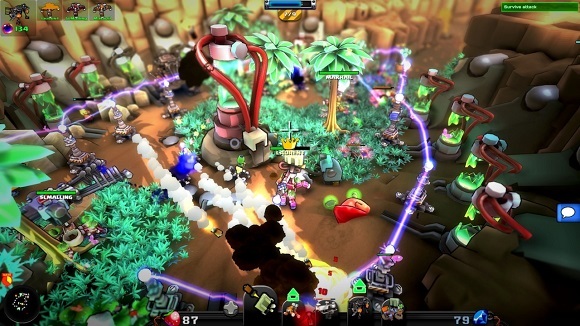 Your base and economy will carry over but will have to withstand much deadlier attacks! • Unique towers that create powerful synergies such as boosting power of automatic robots or teslas chain linking. • Space age cartoon graphics. • Not 40s, not 50s, not 80s but 60 rock! • Harvest the only sensible resource of the future: Unfeasibly large strawberries. • Achievements awarded for tasks ranging from tricky to insane. 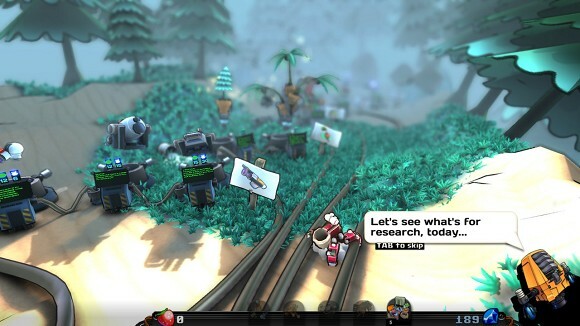 • Find the decals and paint to customize your McDROID, they are scattered about. thanks for the upload admin!